Not all of Ketaki’s neighbours are her best friends. Some don’t live in ‘Chandrasadan’. They are scattered all over the fifth lane, but still they are her neighbours. Ketaki is very fond of some of them and others, she just knows them. 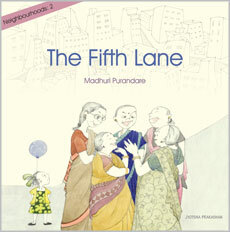 The fifth lane is a nice little place to be. 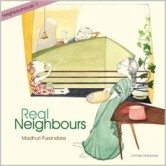 Given below is the citation by 'Goodbooks Awards – 2016' to Madhuri Purandare for illustrations in this book. Jyotsna Prakashan too gets an honorable mention with the author/artist.